Your business is on the move, and your next target is the coveted American market. Like many global companies before you, you’re confident that you’re ready to face this challenge. 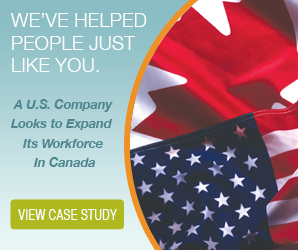 Opening a US office or starting up operations in the US market means hiring American workers. The American labour market comes with unique challenges. Some of them are cultural, while others are legal. Whether you’ve just hired your first American worker, or you already have a few US workers on your payroll, keep these five challenges in mind. Can you explain how the IRS defines a contractor? If not, you’re not alone. Many business owners can’t, whether they’re running an international business or the US is their home base. A lack of familiarity with American regulations causes some trouble for international employers, putting them at higher risk of misclassifying their workers. The IRS and several states have started cracking down on misclassification in recent years. Take care that you review the definitions of both 1099 workers and other employees. This will help you avoid misclassification and the associated penalties. Learning the legal framework of any new country is a big task for companies looking to expand beyond its borders. This usually results in a lack of familiarity with an employer’s legal requirements. In the United States, the situation can become increasingly complex. You’ve acquainted yourself with the federal legal framework, but laws change from state to state. Minimum wage is one example. The federal government has set a minimum wage, but many states have enacted their own minimums. For each state you operate in, you’ll need to ensure you’re acting in compliance with the law. States may also have their own laws around working hours for certain industries and even how you terminate employment with an employee. Before you hire an employee in any given state, you’ll want to check the fine print on these points. Another challenge for global companies is payroll deductions and the remittances they must send to the IRS when they employ American workers. As the employer, you’ll be responsible for withholding income tax for your employees. How much you withhold from their paycheck depends on how much they earn. You’ll also need to withhold for social programs like Medicare and Social Security. These withholdings have to be remitted to the IRS on a regular basis, usually in accordance with how often you conduct payroll. 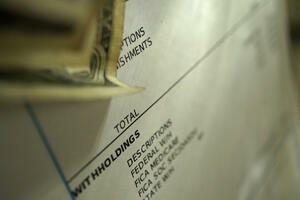 As a result, administering payroll and sending payments to the IRS is a big challenge for most employers. Global companies can get the help they need by partnering with a professional employer organization (PEO) that offers payroll processing services. Unemployment in the US has dipped over the last couple of years. There are fewer workers on the market as a result. This situation can pose challenges for global companies who are searching for top talent. Your choice of state can also affect your hiring options. If you’re hiring in an area where the talent pool is relatively limited, you may have to pay more competitive wages. Learning the job market is often something that happens after you’re actively seeking out new employees. Cultural challenges can crop up in almost any aspect of the employer-employee relationship. Your employees may expect you to offer certain benefits or that they’ll receive certain amounts of time off. They may also expect that you’ll communicate with them in particular ways. Obviously, global companies have plenty to think about when it comes to hiring US workers. Getting a helping hand from a PEO can help you navigate the employee-employer relationship with ease.